A top notch Realtor can make the difference between a home selling or not. Many homeowners take hiring a real estate agent too lightly, which can ultimately lead to a seller losing thousands of dollars and creating additional unnecessary frustration and stress. 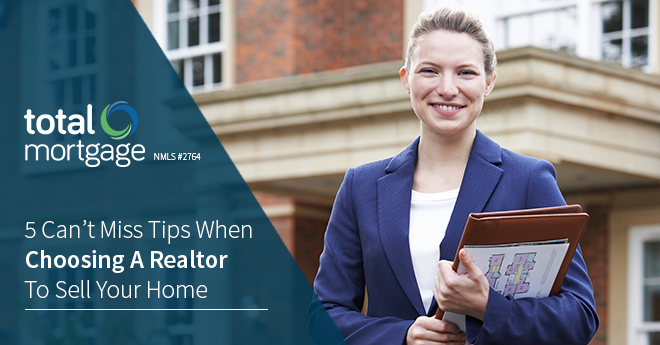 If you’re planning on selling your home in the near future, it’s important you understand what it takes to choose a top Realtor.® Below are 5 can’t miss tips to help increase the odds of hiring the best to sell your home! The first step to successfully hiring a top Realtor is knowing how to interview. Some homeowners will actually skip the interview process and will hire a real estate agent because they are a friend, family member, or neighbor. While it’s completely possible their acquaintance is a top agent, it’s vital to make sure this is truly the case. Are you a part-time or full-time agent? What is your list price to sale price ratio? What methods do you use to determine the value of a home? What methods of communication do you use with your sellers? How many homes did you sell last year while representing sellers? These are just five of the best questions to consider. There are many more and it’s extremely important that a homeowner asks these questions. Some are more difficult to ask than others, but a homeowner will thank themselves in the future when they have a successful and enjoyable home selling experience! One recommendation for homeowners who will be choosing a Realtor is to ask if they can contact a handful of their past clients. It’s important to understand that some people will not allow or want a real estate agent to provide their information to prospective sellers, however, a top agent should have many past clients who would be willing to talk with prospective sellers. If a homeowner gets the chance to talk with past clients, they should be asking some important questions. Below are five of the top questions a homeowner can ask a past client. How was your experience working with him/her? Did they deliver on what they told you they would do for you? Was there anything you felt they could’ve done better? Do you feel they earned their money? The number of homes a Realtor sells is not a guarantee that a homeowner will have a great experience, or a miserable one. How many homes on average do you sell a year? These questions can often shed some light into whether or not an agent has a solid sales history or not. Every agent starts at zero in their career at one point or another, but experience comes with time and transactions. One of the top three reasons why a home will sell or not is due to the marketing and exposure a home gets. It’s critical that homeowners find out exactly how a real estate agent plans on marketing their home. Since all Realtors run their business differently, they market their sellers homes differently. Some will literally place a sign in front of a home, enter it into their local Multiple Listing Service (MLS), and pray that it sells. These are sometimes classified as a post and pray Realtor and should be avoided at all costs. What type of traffic does your website get? Does your website and/or blog rank highly on Google and other search engines? There are literally dozens of questions that homeowners should be asking a real estate agent when it comes to their marketing of their listings. In 2016, since the majority of buyers are beginning their home search online, it’s critical that their website ranks highly on search engines. The higher a Realtor’s page ranks, the more exposure for a seller’s home. For example, a seller in Rochester NY would love to put their home in front of anyone who is thinking of moving to Rochester NY, right? Of course they would! It’s huge if a Realtors website is ranking within the first couple results for search terms such as “moving to Rochester NY” and other variations of this search term. Last but certainly not least, when a homeowner hires a Realtor to sell their home, they should not do it based solely on the fact they offer the lowest commission. Commission is negotiable, yes, but it’s also important to be aware of the many home sale gimmicks and discount brokers that are out there. Will you still pay to advertise my home in the newspaper? Will you send direct mailings to my neighbors? Do you have a top website? Do you pay to advertise on Facebook? While it’s possible the Realtor offering the lowest commission may be the best one for the job, it is important to proceed with caution. Hiring the right Realtor is critical. Not doing so can be a huge mistake, and a costly one at that! By following the 5 tips that are listed above, a homeowner will greatly improve their odds they will hire a top producing Realtor. The above article was written by Kyle Hiscock, a top producing real estate agent in the Greater Rochester, NY area. 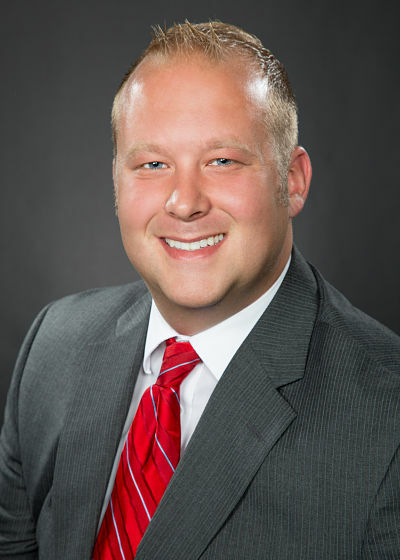 Kyle has been helping buyers and sellers move in, out, and around the Rochester, NY area since 2011. During that time, he has helped hundreds of buyers and sellers achieve their real estate goals. In addition to his vast knowledge and experience in real estate, he is also very active on social media. He regularly blogs on his website, Rochester's Real Estate Blog, the #1 real estate blog in Rochester, NY. I had no idea that you should make sure that they have a website. When we were looking for a house, we spent a lot of time looking around. I wish we would have looked online for a realtor because it would have made it a lot easier. I want to make sure that I get a good real estate agent to help me with selling my home. It makes sense that you wouldn’t want to choose one just because they offer low commissions! Sometimes you get what you pay for, after all. I can imagine how these questions can really help you choose the best real estate agent. Personally, I wouldn’t want to choose just anybody to help me buy or sell a home. I consider that a big event, something I’ll only do a couple times during my lifetime and I’ll definitely want to choose the best agent to help me as I do that.